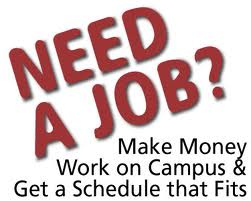 Brock CareerZone Blog: Start your on campus job search now! Are you interested in working on campus during your studies to gain some valuable experience and extra cash? If your answer is yes, then start your search NOW! Employers on campus begin their hiring process for fall of the following school year very early and although some positions are still available in the fall, many opportunities may already be filled. Career Zone is Brock’s online job board which hosts a variety of on campus (and off campus) jobs. Make sure to check if positions require Experience Works. This is specialized funding for certain jobs and an Experience Works funded job requires that you apply and qualify for Experience Works in order to be considered for the position. For more information on Experience Works please visit: http://www.brocku.ca/career-services/students-alumni/experience-works. 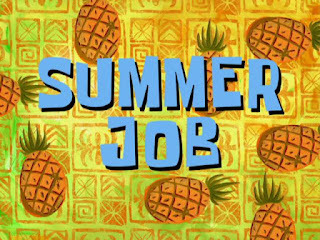 If you are particularly interested in applying somewhere on campus and cannot find a job posting on any of these sites, try visiting the location in person. It doesn’t hurt to drop off a resume! Appreciate it intended for placing this data. When I in essence want to advise people I always in essence consider ones website page. At this point simply click here check cashing When I realize its academics in addition to definitely useful.